Over the past decade Norwegian born bassist Eivind Opsvik has become omnipresent in the fertile Brooklyn jazz scene. 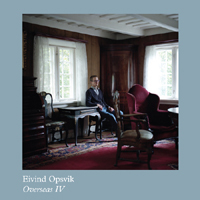 A stalwart supporting player, Opsvik demonstrates an even greater talent with his unfussy, harmonious writing. 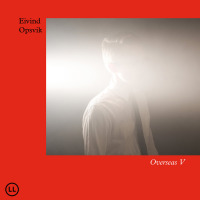 Brought to life by his long-standing Overseas ensemble, Opsvik's singular compositions unveil structural, harmonic and melodic sensibilities that draw greater inspiration from popular music than they do traditional jazz. 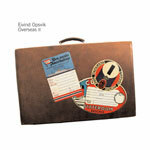 Overseas III is his third recording with a veteran line-up that excels at interpreting these evocative pieces. Special guest Larry Campbell (Bob Dylan's pedal steel guitarist) joins Opsvik's core band of tenor saxophonist Tony Malaby, drummer Kenny Wollesen, keyboardist Jacob Sacks and percussionist Jeff Davis (on vibraphone). 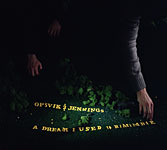 Working collectively, they embellish the melodious character of Opsvik's accessible tunes with nuance and restraint. 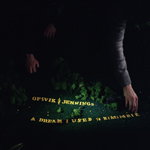 A masterful tunesmith, Opsvik embraces a range of genres to inform his work. Rootsy Americana, early fusion experiments, atmospheric post-rock and a serene, folksy sensibility commingle, yielding a rich, euphonious electro-acoustic hybrid. The languorous "Everseas" and "Whiff of Wood" brim with moody ambience. The former employs breathy tenor, ethereal analog keyboard washes, plangent bowed bass and gentle timpani for a meditative atmosphere. "Ginger Rogers" explores similarly austere territory, framing Sacks' pungent piano work in a cinematic, neo-classical setting. "Neil" and "Silver" reveal Opsvik's fascination with North American folk forms while spotlighting Campbell's tasteful slide work. Inspired by Neil Young's Harvest (Reprise, 1972), "Neil" gracefully knits contrapuntal themes with a casual air. Opsvik and Wollesen lay down a steady backbeat as the slow-burn gospel inflections of Sacks' Wurlitzer and Campbell's steel guitar weave a cozy bed for the bittersweet lilt of Malaby's elusive tenor and Davis' effervescent vibes. The ebullient "Breath of Bark" provides a pulse quickening intermission; an exuberant surf-inflected collage that recalls composer John Zorn's most accessible work. Skronky tenor and singing steel guitar soar over a vibrant underpinning provided by quicksilver drums, propulsive bass and dreamy organ. The majestic closer "Lull of Lumber" unfolds episodically, leisurely building to a soulful finale. Loosely drawn from Pink Floyd's progressive opus, "Echoes," it segues seamlessly from one kaleidoscopic movement to the next. Introspective, yet robust and forward-thinking, Overseas III erases genre barriers to incorporate popular music tenets with advanced improvisation to help define a burgeoning new zeitgeist. Track Listing: Neil; Everseas; Silver; Ginger Rogers; Breath of Bark; Whiff of Wood; Lull of Lumber. Personnel: Eivind Opsvik: upright bass, tack piano; Jacob Sacks: piano, Farfisa organ, celeste, Wurlitzer; Tony Malaby: tenor saxophone; Kenny Wollesen: drums, cymbals, gongs, timpani; Larry Campbell: pedal steel guitar; Jeff Davis: vibraphone, xylophone.